I’m sure I’m not the first to wonder what awesome products the great inventors of the world would have been able to create if they were alive and had access to the tools we use today. Back in 2014, I wrote an article asking this question of Leonardo daVinci: What if Leonardo da Vinci had SOLIDWORKS? The blog received a lot of interest, and it seems I was not alone, as many responded and shared the article. However, taking this thought to the next level: I was curious if these great innovators could have ever worked together with tools such as SOLIDWORKS, how would they have collaborated? What would they have created? It was widely known that many engineering greats did not work together, much less like each other (i.e. Tesla and Edison). Interesting that we still see this behavior today, as engineers and inventors of different disciplines do not collaborate well, and use completely different tools to design, making collaboration more difficult. For example, electrical and mechanical engineers currently use different tools, and hand designs back and forth using common formats. I also wonder, what if Alexander Graham Bell could design PCB boards using SOLIDWORKS PCB? I’m sure the time savings alone over using old electronic devices would have allowed him more time to create many new inventions. We’ll let’s face it, the man accomplished a lot even with old tools. He had many patents, including the telephone, all while founding AT&T, and was one of the founders of the National Geographic society as well. How did he possibly accomplish this without a smartphone anyway? With today’s technology would he have more patents? What would he have created? What if he was able to collaborate with many of the other great innovators of yesterday or today? Being able to pass designs back and forth from SOLIDWORKS and SOLIDWORKS PCB? 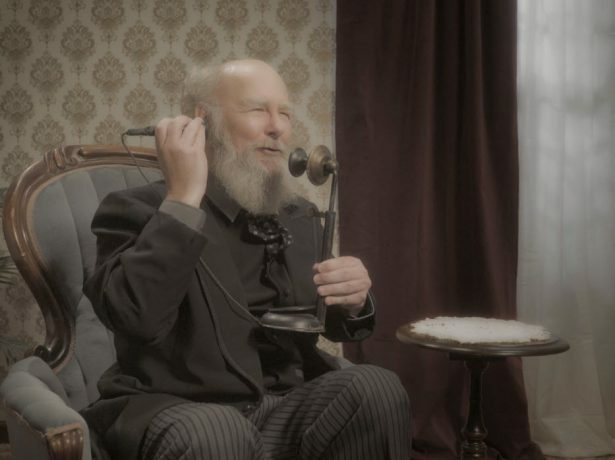 We put together this short video of Alexander Graham Bell, to pose that very question. So, what do you think Alexander Graham Bell could create today if he had access to SOLIDWORKS PCB?